Welcome to the 40° Degrees Media Resources page! This page is a curated list of the tools, books, gear, and websites we strongly recommend, because many of them have been crucial in helping us build and optimize our business and we want to pass them along. We have used, read & tested every product recommendation on this page, and we share them because we believe in their value. Some of the links below are affiliate links. That means that if you choose to make a purchase, we earn a commission. This commission comes at no additional cost to you. Please understand that we have experience with all of these products and companies, and we recommend them because they are helpful and useful, not because of the small commissions we make if you decide to buy something. Please don’t spend money on any of these products unless you feel you need them or that they will help you achieve your goals. How do we build our websites? 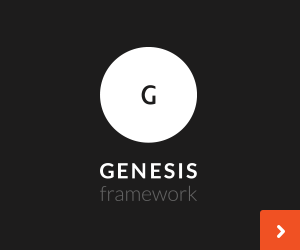 We build on top of the Genesis Theme Framework almost exclusively. Without a doubt, Genesis gives us the flexibility to customize each site according to our clients’ requests. If you manage WordPress websites, you need to be using ManageWP for monitoring and maintaining your sites. We don’t have an affiliate partnership with them, but we use this system for everything from backups to migrations, from software updates to user changes. We couldn’t ask for a better system for what we do. Gravity Forms is our go-to form builder for WordPress websites. It a drag and drop form builder that we have no problem handing over to our clients once the project is complete. 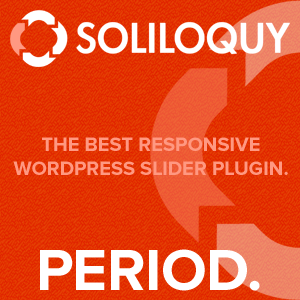 When it comes to website page sliders, Soliloquy is one of the best! We found it years ago and have been using and recommending it ever since. We love its versatility and the ability to customize it and add it to any page we want. Need a hosting suggestion? We highly recommend hosting your WordPress website with WP Engine. This is our go-to hosting platform for fast, reliable, hosting. We absolutely love their customer service! I do all of my design work on both this and my iMac that’s about 7 years old. My MacBook is much faster. My iMac is always connected to this as a dual screen. I set it up as a vertical screen so I can see more of my code. This book changed the way I think about promoting the work we do as creatives. Social media can be your friend. Every creative should read this book. “The forces of the creative professions are aligned against the artist.” This book is gold! Adam Grant does a terrific job of explaining how setting out to help others reinforces your reputation and expands your universe of possibilities. If you ever want to know what book to get to learn how to do social right…this is it. It’s also the book I loan out the most to my clients. I’m not the best at social, but when you’re ready to focus on it, this is the textbook to use.